A: An appraisal and a comparable market analysis (also referred to as competitive market analysis or CMA), are both used to determine the market value of a particular property. 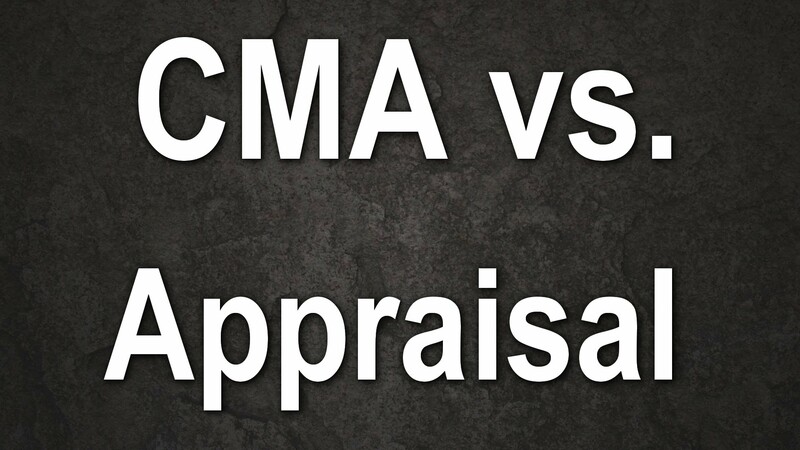 In a perfect world, we would like to think that both appraisals and CMAs would arrive at the same or similar value; but since we don’t live in a perfect world, they frequently do not and these are the differences. An appraisal is typically used for financing purposes and is usually done by a registered, licensed or certified appraiser. Appraisals are ordinarily ordered by banks in order to come to an estimate of value for financing purposes. Appraisals generally use only closed sales to arrive at value. A CMA is usually done by a REALTOR® and is used by homeowner who are ready to list a home and market the property for sale, although some buyers will ask for CMAs as well. A CMA will not only look at closed sales, which will determine what buyers have been willing to pay for properties at a particular point in time, but will also look at active, pending and expired listings to determine where the market is trending, what the current list to sales price ratio is (the market premium) and what sellers can expect to get for their home if they were to list in the current market. Active listings, that is homes currently available for sale are included to show what a property’s competition will be at the time of marketing. Expired, withdrawn or cancelled listings will show what buyers were not willing to pay for particular properties in the present market place. Real Estates will also know what features and amenities are hot with buyers at the moment and some (including my team and I) can offer staging advice, as well as tips and referrals on what improvements to make to improve your homes value (and who to use to make these improvements) and ensure it sells for top dollar! 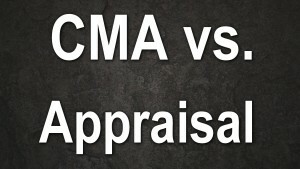 In today’s market you can expect appraisal values to be more conservative and values in a CMA to be more aggressive with the purpose of getting the highest amount for a seller or getting the best deal for a buyer – the CMA will always favor buyer or seller depending on who is asking for the analysis.